We have grown to be one of the largest independent regional airlines in the United States. We strive to express our passion for simplicity and service by listening and responding to customers’ needs and delivering extraordinary service with a spirit and style of teamwork that celebrates our customers, our communities and our legacy of MOCHA HAGoTDI (Make Our Customers Happy and Have a Good Time Doing It). 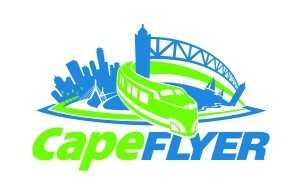 Welcome aboard the CapeFLYER, a summer weekend passenger train that runs from Memorial Day to Labor Day from South Station to Hyannis, with stops in Braintree, Brockton, Middleborough/Lakeville, Wareham Village and Buzzards Bay. The CapeFLYER’s no-traffic worries train service offers a relaxing and comfortable ride with all the comforts you would expect onboard a passenger train — onboard concessions, free Wi-Fi, wheelchair accessibility and you can even bring your pet or your bike for FREE! Reservations are never required, there are plenty of seats available and no one will be turned away. Extra coaches are also added for holiday weekends. Nantucket Memorial Airport is the second- busiest commercial airport in Massachusetts after Logan International and operates year-round. The terminal houses airlines, a restaurant, ATM machines, public phones, restrooms, a gift shop, car rental agencies, and free wireless internet. Taxi service is available. Public shuttle bus service to Town operates seasonally. Extended parking is available in Boston, Hyannis, Newark, New Bedford, Providence, and New York. 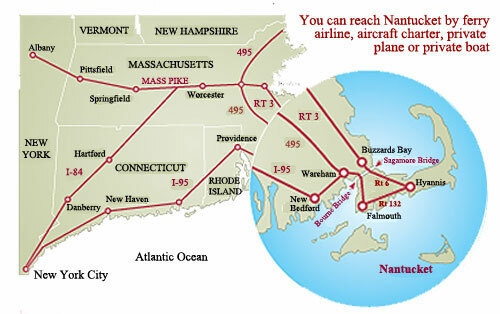 Cape Air (seasonally) - 800-352-0714 Providence, RI is an uncongested alternative to other East Coast connecting points. 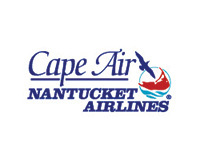 Most major airlines, including Southwest Air, Delta, and American Airlines can make major city connections with Cape Air. Seasonal ferry service May-October; First-class section available. Parking in private lot available; free parking for day trips. Follow Route 95 to Providence, RI; Route 195 to Wareham, MA; Route 25 over the Bourne Bridge; Route 6 to Exit #6; Route 132 into Hyannis. Follow signs to airport or docks. Approximately 4 to 5 hours, depending on traffic. Follow Route 3 (Southeast Expressway); Route 6 over the Sagamore Bridge; Route 132 into Hyannis; follow signs to airport or docks. Approximately l.5 hours, depending on traffic. Traffic can be heavy. Allow extra time, particularly in the summer and on weekends. Hourly service between Hyannis and (Downtown Boston) South Station and Logan Airport. P&B picks up and drops off at every airline terminal at Logan. Hyannis transportation is only 2 blocks from the ferry terminals. Service from New York (Port Authority Terminal) to Hyannis with stops in Providence, Fall River and New Bedford. Shuttles, taxis, car and bike rentals, limousines. Jeeps, SUVs, sedans, minivans, convertibles. Renting cars and jeeps every day, year-round on Nantucket. Located in town on Steamboat Wharf. Fun Convertibles, Jeep Wranglers, Smart Cars. Located downtown near both ferries - no airport taxes! Help reduce traffic congestion on the island. Learn about Nantucket's transportation choices. NRTA - the island's shuttle service. COPYRIGHT 2019 NANTUCKET YOGA FESTIVAL. ALL RIGHTS RESERVED.